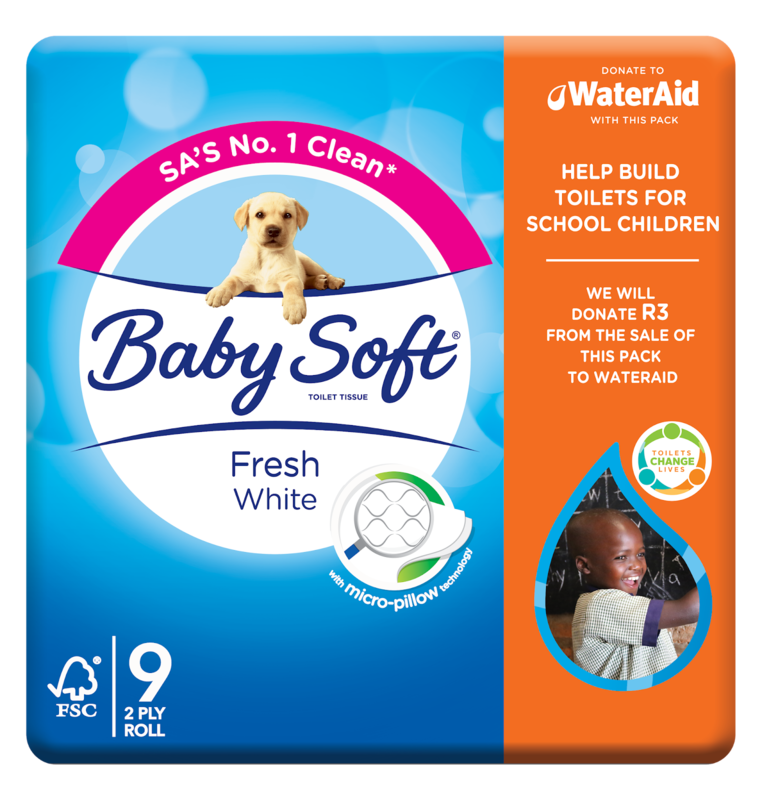 South Africans can now help put a stop to the sanitation crisis simply by buying specially marked packs of Baby Soft® White 9s. Proceeds from each sale will be used by Kimberly-Clark, in partnership with Baby Soft® and WaterAid****, to construct toilets and handwashing facilities through the Toilets Change Lives programme. These will be built at several schools in Limpopo where, according to Minister of Basic Education Angie Motshekga, 932 schools have inadequate pit latrines for the children to use. 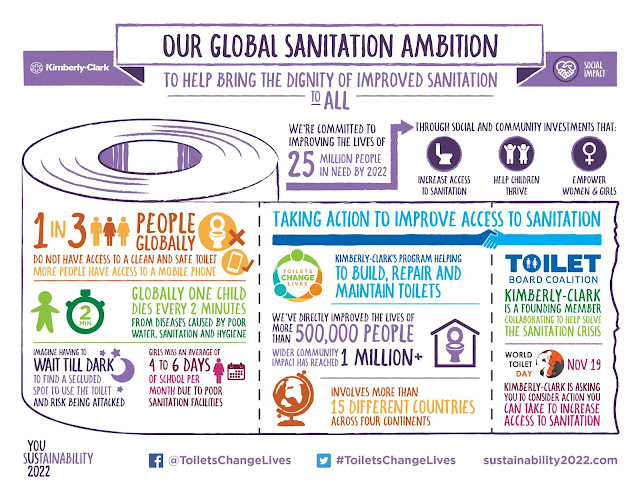 More people worldwide have access to a mobile phone than clean, safe toilets. In fact, one in three individuals is excluded from this basic human right*. With approximately 2.3 billion people not having access to basic sanitation facilities such as toilets or latrines – 892 million of whom are forced to relieve themselves in the open** – the devastating impact of this is the spread of disease and deaths that could have been prevented had they had access to proper sanitation***. Through the Toilets Change Lives programme, Kimberly-Clark – in collaboration with NGOs such as WaterAid – is investing in programmes that build, repair and maintain toilet infrastructure in schools as well as teach communities safe hygiene practices and establish the local capacity to sustain these services. Toilets Change Lives is one of several projects currently being implemented by the Toilet Board Coalition, a group of leading companies including Kimberly-Clark, government agencies, sanitation experts and non-profit organizations that aim to develop commercially sustainable and scalable solutions that address the sanitation crisis. John Clark, Marketing Director of Kimberly-Clark South Africa, says: “The inadequate pit latrines in many South African schools are unsafe, unsanitary and undignified. Poor sanitation can lead to diarrhea - the leading cause of children’s deaths under the age of five in our country. Furthermore, a recent report found that 630 million children globally do not have a decent toilet at school, affecting their education, especially for adolescent girls who often skip class during menstruation or drop out of school altogether if there are no decent toilet facilities. In India too this problem was taken care by the Prime Minister by making public awareness about the consequences and you shall an interesting take on the same in a Bollywood Movie named - Toilet - Ek Prem Katha. Do check it our on your favourite streaming channels.